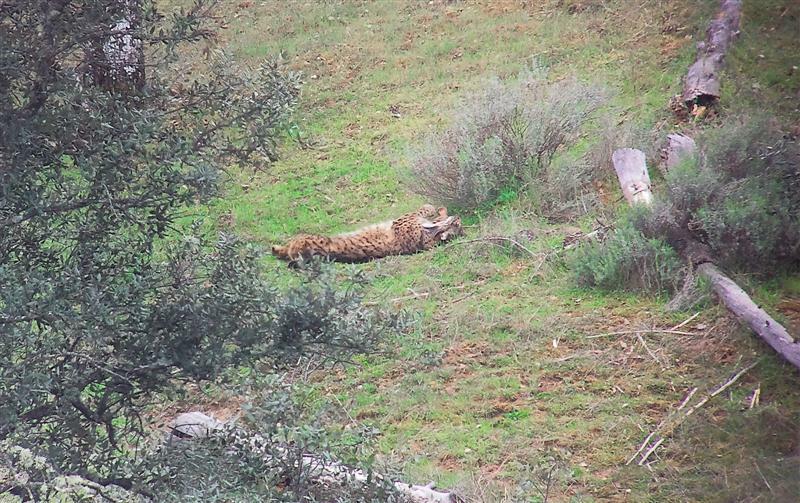 We watched two lynx: one feasting on fresh rabbit and then moving off a little way to bask in the sun. 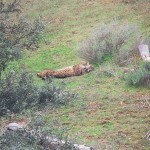 Then in the afternoon, we watched another one, obviously well-fed, lying stretched out in a shady spot. A privileged sighting over a period of about three hours! 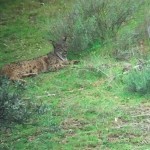 There was a Red deer carcase nearby on which two lynx had been feeding for a couple of days. 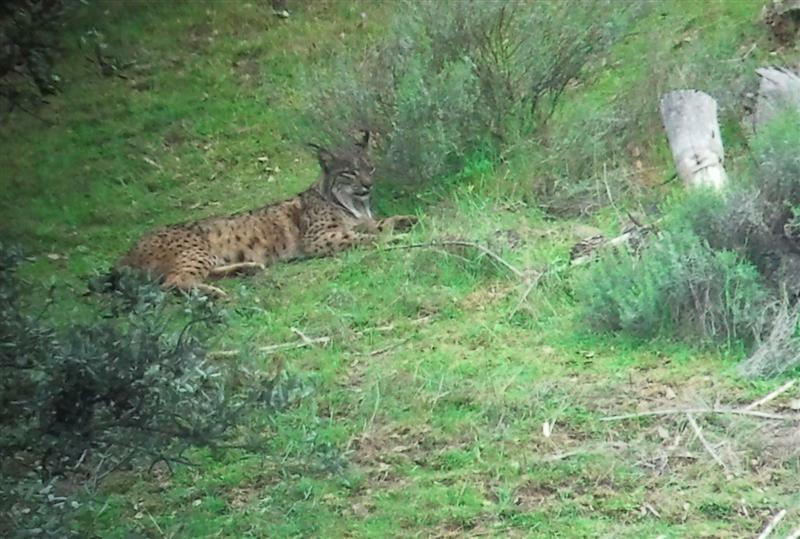 Adjusting vantage point, we were able to see the carcase and the lynx just ten metres away from it!